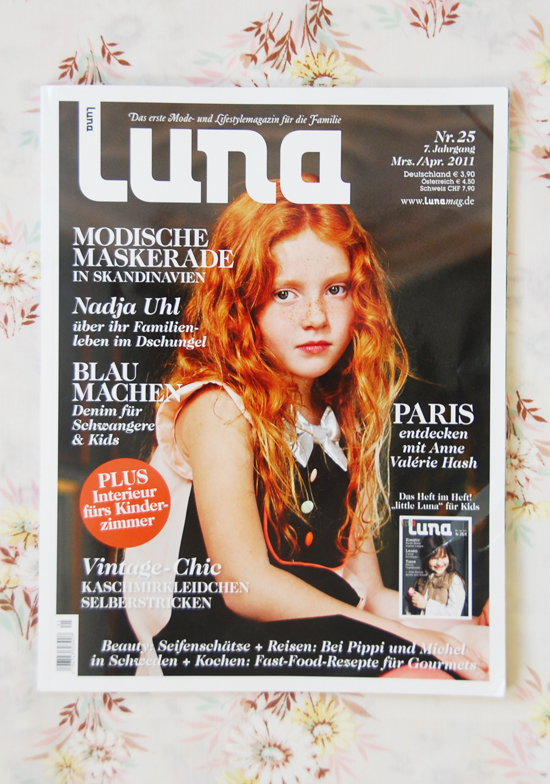 I am so late in sharing this as this came out in March, but I am honored to be featured as one of the blogs to read from around the world in Germany's Luna Magazine. The magazine has lots of pretty eye candy (too bad I can't understand it, though I do know what my part says cause I answered questions for them), so if you happen to be in Germany, you should pick up a copy! i'm from Belgium end Dutch is pretty simular as German so...i will take a look! thanks for the tip! how did you find yourself in there? very cool! This looks like a brilliant magazine! I'm taking German so maybe if I buy this, I'll learn some good phrases--and see some favourite bloggers too. 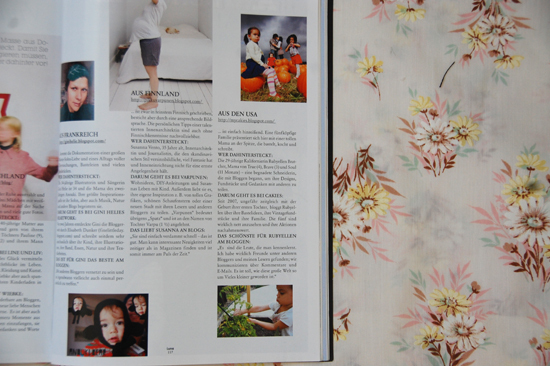 I got it to translate Ruby :) google anyway thanx I love kid's mags from around the world ! how exciting! 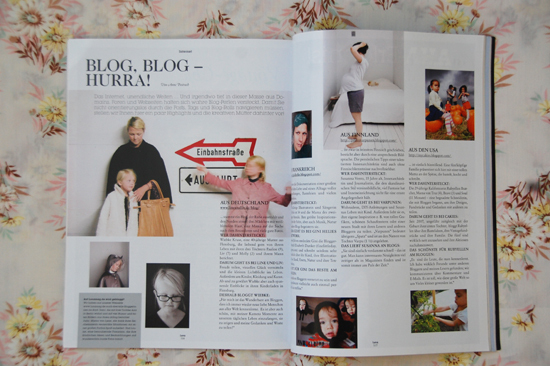 i live in germany and i LOVE reading your blog :-) never heard of this magazine before so i will have to go and find it somewhere!